Opening: “Amanda was at the library getting books for the week. Brief Synopsis: Amanda and Alligator are best friends. They love to surprise each other. Sometimes the surprises are more surprising than others. One day Amanda brings home a special surprise that may not be too welcome… and the result is another surprise! Now. Let’s put that horror behind us, shall we? I have something fun to tell you! But I think it will have to wait for Monday. Because I’m in the middle of thinking up a hare-brained scheme to go with it. A kind of a contest maybe, methinks. Or something. I’m still pondering… Feel free to make suggestions of what you feel like doing and what prize you’d like to win in the comments! Your hair looks great, girl! I usually cut mine short (like that) for the winter as in the summer keeping it long means I can have it up and stay cool. Often in a pony tail too. Great photos btw. an alligator with a thinking cap? OK – now I've gotta read it! how could I not have seen this book – as you say, Mo Willems! Like the PPBF choice. Amanda and Alligator sound like they have some great adventures together, especially with his aversion to patience. Looking forward to Monday…A to Z is almost over…I need a new challenge. I've actually read that book and really enjoyed its sweetness! This is my third favorite of Mo's books – super sweet! Well now, I do get that she chopped off a lot and it's a shock, but I also think you look great with it that length! I love the early/easy readers from Willems, but who doesn't. I esp. like the kid-size voice, 'I am no good at waiting.' And Susanna, if you are going to use a 'new' word in describing your new haircut, it is customary in the kid-lit world to use it 'just so' in context that we might decipher the meaning. But that word does not sound like 'perfect-length-to-frame-my-face-and-bring-out-my stunning-blue-eyes' to me. Tsk, tsk! I had imagined a dutch boy from the paint can length when you described it on Wednesday too – which might also have looked nice, but I think this length suits you very well! Your hair is adorable, but I totally get what you mean about not being practical. The prices we pay for beauty… And I'm interested to see this Mo Willems book. It reminds me of “Edwina” which had more text and I enjoyed that. Ooh . . . I have an idea! While you wait for your hair to grow long enough for pony tails . . . dredlocks. You'd look so RAD on all these college trips if you looked like you'd been jammin' with Marley. Ya Mon! No worries, mon. Everyt'ing gone be alright. 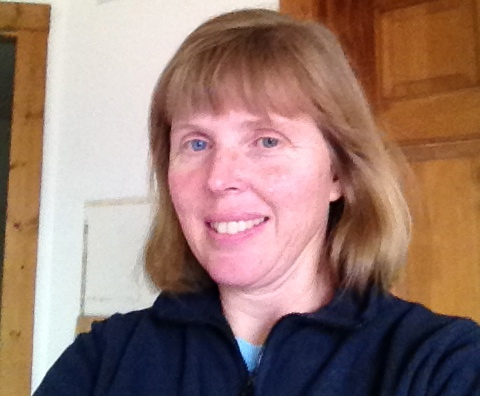 Oh Susanna, you are such a good sport to post your photos! I've always found there's never a trim so severe that a healthy dose of fudgy chocolate cake can't fix! Mo's books are consistently funny and sweet. I'm glad you highlighted this one! Oh. And if I may switch gears for a moment, your hair ain't that bad. As for your contest, I don't care what you ask of me, but I do wanna chance to win a copy of anything Phyllis! You sneaky sneaky sneak, you. 🙂 making us wait till Monday to see what hair brained idea ( which we usually love ) you have for us. 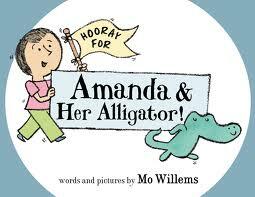 Love Mo Willems and I have to find this book. How have I missed this Mo Willems book? Thanks for the rec! Susanna, you are SO adorable!! I know you think it's too short of a haircut, but I think it looks great on you! I've not heard of this Mo Willem's book but it reminded me of one of my favorite books (Lyle, Lyle, Crocodile…okay, different Order) so I'll have to check it out! Have a great weekend! Glad you like the book, Diane, and thanks for being nice about the photo 🙂 As for Monday, interesting indeed… I'm having a hard time deciding on a plan! Got any fun ideas? I'm still on the fence and searching for inspiration…! I'm 2 thumbs up on the haircut. It is cute and perky on you!! I am GROWING my hair so it'll be LONG enough for a pixie like Kellie Pickler on Dancing With the Stars. Yeah. It's too short for a pixie…..
tee-hee-hee! You're making me laugh, Julie! 🙂 But thanks for being so nice! And I'm glad you like the book! Thank you, Wendy, you're very kind! And you know what I just thought of that this book reminds me of? George And Martha by James Marshall! It's a lot like that and tons of fun! I know, Catherine, it was such fun! I want to meet everybody. I think my next hare-brained scheme is going to be a kidlit writer blogger reunion. We'll pick a convenient middle location and then all come there and get to meet each other in person. Wouldn't that be so much fun? Inner beauty outshines any hairstyle…and I had to put on 2 pairs of sunglasses to look at the new chic you! 🙂 I had to dash off this morning so I'm just now getting around to PPBF hopping. 'Amanda' sounds fun. And I realized I had forgotten to link with Emily Gravett's website – so I updated. She even has a hand drawn DOG MATCH GAME that can be printed out. I keep it in my purse and my grands and I have played it many times. Love Mo Willems. Haven't read this one. Love his simplicity. This sounds like a fun read for kids. And, I like your haircut. It's very professional. Change is good! :) Am going on vacation, so I will only submit one review while gone. All Mo is good 🙂 And thanks for your optimistic view of my hair, Pat 🙂 Have a wonderful time on vacation!!! Now you're just making stuff up, Laura – two pairs of sunglasses! 🙂 The dog match game sounds fun! I hope it was listed in your resources – I can't remember. Is it like Memory/Concentration? And, like Pat, I may not be able to post next Friday…I'll be holding a sweet little baby. 🙂 But, if I can, I will! You had me at Mo Willems. Love his books. This book sounds delightful. I love how Amanda makes Alligator feel better. And I actually think your hair looks great. You know what they say – you're your own worst critic! That Mo Willems can sure put out a great story! My princesses love love love his books. And this story sounds pretty special. Kind of like Calvin and Hobbes? I'll have to check it out. Thanks for sharing. Cute!!! You look cute, Susanna! I see what you mean about the pony tail, but until it grows out, enjoy your new look…really adorable! I love this book! Love! Mo Willems just knows how to tell a great story. What talent! How fun to be with Emma and Joanna! Hair-brained??? Oops! I had “hair” on my mind when I committed that typo! I meant hare-brained??? Oh boy!